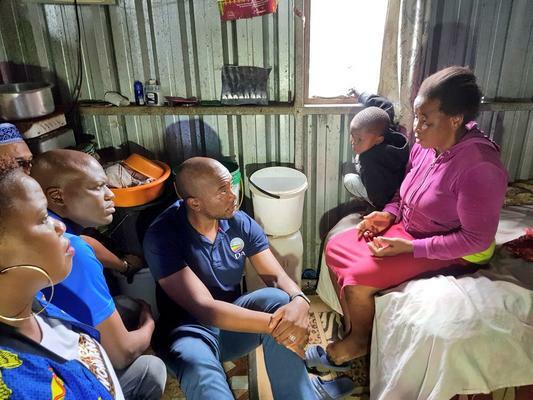 Mmusi Maimane, Phumzile van Damme and Zwakele Mncwango speak to residents at the Welbedacht transit camp in the Chatsworth area. Photo: Supplied. He says his party will ‘look after’ voters because they are ‘citizens of South Africa’. “A lot of people say ‘things don’t change, there’s no point in voting’. If you do that, the ANC will come out to vote, and then you will stay in the living conditions that you are. So it is important to vote for change. It is important for this community to vote for change, because the Democratic Alliance will bring change.